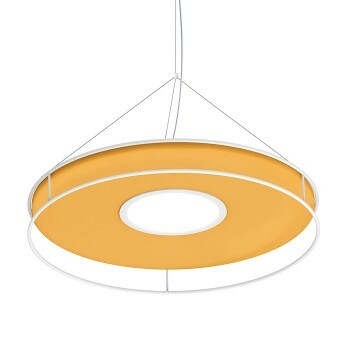 Lightweight metal structures frame fabric discs, at the centre of which is the light source itself. Idea creates a unique and original decor in any space. 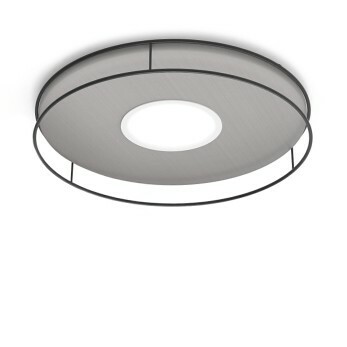 Available as a hanging lamp, ceiling or wall lamp, it is designed to work alone or as a composition.